Due to me focusing on console games as a child and only having my first dedicated gaming PC in 2004, I missed out on many PC classics in the 90's. Monkey Island, Half-Life 1, Doom, Heroes of Might & Magic, Civilization – never played any of those. I did played StarCraft though, and played Deux Ex for the first time after finishing Human Revolution. On consoles, I am pretty much set, but there are missing games as well. Two of them are PlayStation 1 classics: Resident Evil 1 and Metal Gear Solid. I did played the remake “The Twin Snakes”, but not the remake of Resident Evil. 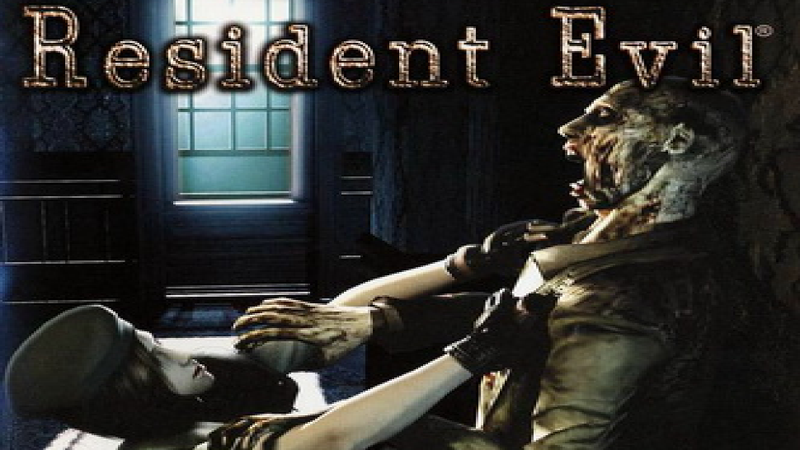 I always wanted to play the game that started it all, especially since I did played Resident Evi 4 and 5. I had to see for myself what made this game such a big deal back in 1996. So I picked up the Gamecube version of the game. Note: I played the game on Easy mode with Chris. I do have a life, and this is a whole new gamestyle for me, so I had to adapt to it first. Just as I predicted, the game has some game design choices that have the 90's written all over it: You can only save for a limited number of time. You can't move around freely, but instead move like a horse like in P.N.03. You only have six inventory slots (that one is debatable though). And combat is basic to say the least due to the movement controls and the lack of clarity how to perform headshots (I got some headshots during my playthrough, but don't know how I did it. Is it random?). But I knew this wasn't gonna be easy, so I tried my best to just get along with it. And to my surprise, the game still entertained my quite a lot despite this... but not without some early setbacks. You start inside a mansion and have no idea where to go. This isn't a problem actually, I don't mind searching for the goal without a map or hints. But if the first save room with an item box is a few closed doors away and you can't pick up all items, it becomes frustrating after all. Dodging enemies isn't quite as easy as I thought, only in rather large hallways is it possible to avoid any damage and save your ammunition. Comparing this to Resident Evil 4 and 5 where I easily could use my knive or just do a headshot to dispose of enemies fast and save ammunition, this required quite a bit of rethinking. And even on Easy mode, it takes half a magazine to dispose of one zombie sometimes (but I can make him stop for a second with just 3 or 4, thus allowing me to run past him quickly). To my surprise, the puzzles weren't quite as difficult as I imagined. I thought they were quite hard like, but In truth were easy to solve if you can use common sense. You can find details on objects if you view them in the inventory and turn them around to find a symbol or the like (a feature I first encountered in Beyond Good & Evil, but now I know it was actually stolen from this game :P). Things like the clock and the chemicals were fun to figure out, and if you use a pen & paper or Notepad, the solution is literally in front of your eyes. The only thing I had to search for a solution for online was that I had to put the red book into the shelf along with the other red books – the most obvious thing in the world, and I didn't get it XD. I can now understand why people somewhat hated the lack of puzzles in the newer games, they really added to the experience. But the newer games have a different focus and are more about real-time action rather than exploration and survival. Adding too many puzzles would've slowed down these games too much, so I understand their removal. 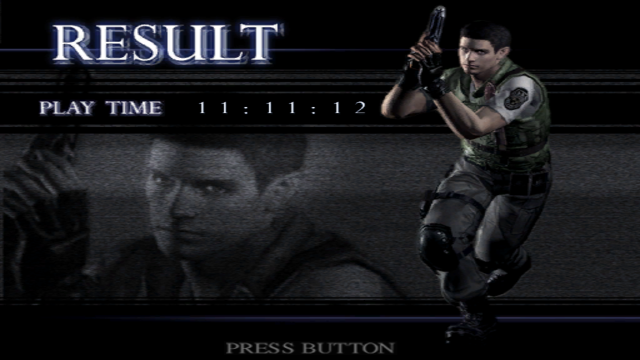 But for games like Resident Evil 1 in which the pace is not quite as fast, they are a perfect fit. Anyway, back to the mansion. I made all the classic beginner mistakes: Dying by the hand of a zombie? Check. Dying by the armor key trap? Check. Dying because you're out of bullets? Check (or rather, I had to reload my save). Couldn't pick up one of the first puzzle items because your inventory is full? Check. I started a new game during my first hour at least three times, but then I finally found the first save room and got my grip on the game. The only big mistake I did for most of the game was to carry the oil canteen with me so I can disable zombies permanently – but on easy mode, I encountered a reviving corpse so rarely, I should've let it stay in the box instead and use it to pick up another item instead. The mansion seems huge and ever expanding at first, and the many doors that require a special key were quite annoying. But then I found the sword key, and eventually the armor key, which means yes, I survived the deathtrap from before – my first great accomplishment in this game. I can now deal with normal zombies by then, and the Gamecube version's features like the defense items and the instant 180° turn greatly help me by that. I also realized that I can avoid some zombies altogether because I can avoid using the rooms they're in, since you'll eventually unlock a second path for both the west and east wing of the mansion. I was slowly getting the grip of the game. Next up was the first boss which is a giant snake. The beast was rather easy once you know it's pattern and you can dodge it's attacks easily. Using the shotgun, it was a short, sweet fight. This fight also marks the turning point where the game turned from struggling to rather easy. The mid-boss following the snake (the coffin zombie) was easy because I could use a grenade against him. He tried to grab me, placed the grenade at him, I shot a bullet and boom I'm done. The following areas (Courtyard and Residence) didn't feature that many zombies but instead just animals like ravens and bees. Dogs are even worse than zombies in my opinion, but luckily I could outrun them and don't take too much damage by doing so. With the game becoming that much more manageable all of the sudden, I could enjoy the exploration, diaries and puzzles all that much more. Then again this is easy mode, but even so, all of the non-human enemies are not much of a threat and their attacks can be dodged easily. Heck, even the Hunters I encountered later on can be stunned with a shotgun shot and I can then outrun them, whereas I only had the handgun early on in the game. Basically, if you can survive the mansion, you can survive the rest of the game. But I guess I can only call myself a veteran gamer if I finish the game on Hard mode, which is something I'll do in the near future. The only game I never could finish at all due to its difficulty is Ninja Gaiden 1 on the Xbox 1, everything else I played I could master. Clearly Resident Evil 1 can't be harder than Ninja Gaiden, right? Well, I finished it about an hour ago. My time? 11:11:12. I was so close to have a perfect 111111 score XD. But yes, I spend eleven hours on that walkthrough. It was a great ride which certainly had its moments. There were a few moments that gave me a genuine scare. While the infamous scene with a dog jumping out of a window was well-known to me, the spider that was above me when I first entered the large room in the residence was quite something. When I revisited the mansion, there was one room with a zombie in a room with a mirror. At first I saw the zombie walking towards me, but then I noticed how there was a second zombie. Suddenly it made click in my head: that in the background is the mirror image! I was able to dodge the zombie just fine, but boy was the game trying hard to fool me. Also, the movie sequence when the first hunter rushes towards my location – very-well done! And while there no longer is a Jill Sandvich, we now have the locked levers! But now that I'm older, I can truly enjoy the game. I guess one reason the game was such a big hit back then is that it was one of the first great games for adults on consoles back then. The game seems more like and Adventure game with all its puzzles, pre-rendered backgrounds and manual activation of most inventory items. Without knowing it, people played the hell out of an Adventure game with a working combat system on consoles – mindblowing in retrospect, isn't it? So in the end, the game was great. It certainly requires an open mind and quite a bit of patience to getting used to the controls and limited inventory, but aside from that the game is a blast. So I'll use my closing comment to unnecessarily nitpick about the story: How it comes that Rebecca conveniently shows up when you need her, especially when she appears in front of the door to Plant 42 when you were in that room just a minute ago? Where the hell was she hiding? And how it comes that, at least in easy mode, Wesker is giving you supplies in the save room despite the fact that his ultimate goal is to kill you? But seriously, Resident Evil 1 is a great game that may not be as “streamlined” as modern games, but still has its good points.